UPDATE: A hearing for Gary Calhoun set for yesterday in Florida’s Escambia County Circuit Court on a state-level racketeering charge has been rescheduled for Feb. 4, according to the docket of the case. 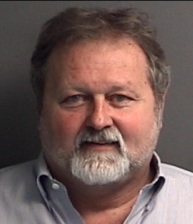 Calhoun, 56, of Pensacola, was arrested last month on the racketeering charge. He is the operator of the MPB Today MLM “program” and a companion grocery-delivery business known as Southeastern Delivery. MPB Today’s website has been offline for weeks. The affidavit in the federal forfeiture case was filed under seal. But the forfeiture case, according to prosecution filings, was brought to enforce 18 USC § 1028 and 18 USC § 1029, statutes dealing with access-device fraud and fraud in connection with identification documents. The complaint also references the federal wire-fraud and conspiracy statutes.